Goodness. It feels strange writing a blog post after a year-long hiatus. I was worried that I may have forgotten how to blog, but it seems that after eleven years of writing The Peak of Chic, blogging has become second nature. It feels good to be back. 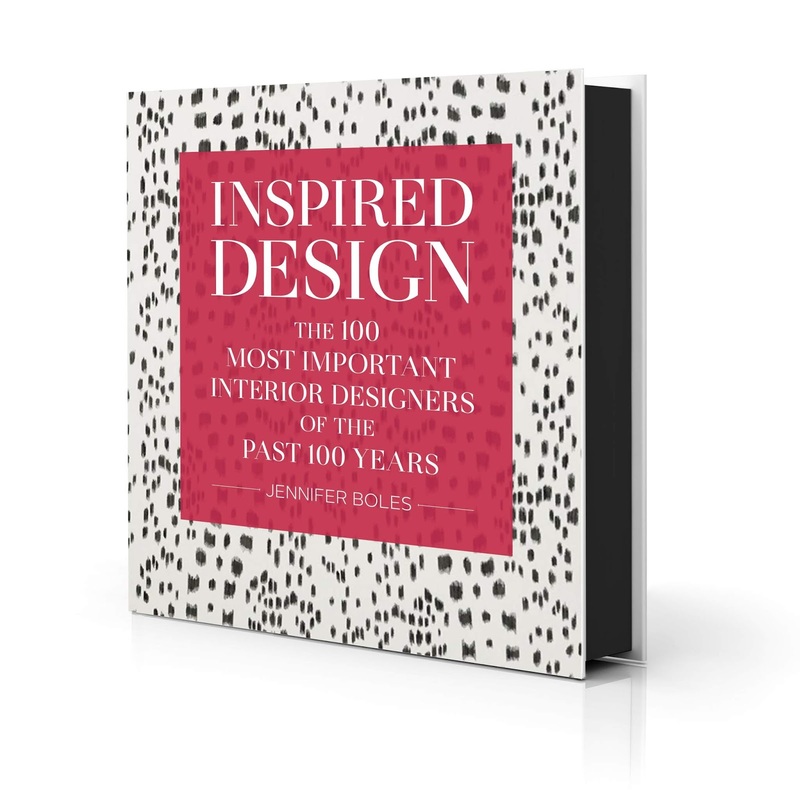 As some of you know, I have spent the past year writing my latest book, Inspired Design: The 100 Most Important Interior Designers of the Past 100 Years (Vendome Press). I spent countless hours doing research (thank heavens for my library of design books and shelter magazines), writing, and selecting the photos that defined the careers of the featured 100 designers. In fact, I spent so much time working on this book while cloistered in my home, some of my neighbors assumed I had died or moved. Now that the hard work is behind me, I can say that it was well worth it. The end result is a book that I feel honors a very diverse, influential, and talented group of individuals. The featured designers hail from around the world, including America, England, Yugoslavia, and even Iran. There are living designers who are currently at the heights of their careers, while others experienced their heydays back in the 1930s and '40s. A number of the designers can be classified as traditionalists, but for each of them, there is a designer whose work was, or is, at the cutting-edge. Some were known for their reserved personalities, while others aren't afraid to make statements with their appearances. Peter Marino, that would be you. Did your favorite designer make the list? You'll have to wait until October 2, the book's publication date, to see the list in its entirety. In the meantime, we'll be releasing glimpses via my blog as well as on Instagram. For those who can't wait, visit the Vendome Press website today for a peek. To pre-order the book, please visit Vendome's website for more information. I'll be embarking on my book tour later this fall, so I hope to see many of you soon! Congratulations, I am sure this book will be a great success ! Dean, Thank you so much! Glad to be in touch with you again. Like a lot of other people, I hoped you were just on blogging hiatus, and not abandoning your blog for good. But I am happy that you have a new book waiting in the wings! Congratulations from Chicago. 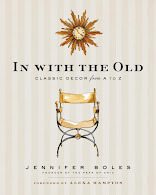 Hello Jennifer, I can tell from the brief preview how much elegance and inspiration you have included in this book. It will be wonderful to read about design history through your special viewpoint which we have come to trust and value. That is why there was a long radio-silence from you! We all missed you. Will you be posting again, now that the book is finished? I am sure it is all going to be worth it. I will order a copy for sure. Can't wait to read and devour! I know it will be wonderfully inspiring. The best projects do require squirrelling oneself away, but it's always worth it. Congratulations! Wishing you enormous success with this new book. Hope to be hearing from "Peak" frequently--I've missed you. I'm glad you're back! I've missed your blog. Can't wait to see the book! Fantastic. Congratulations! Looking forward to getting the book and hope to see you at one of your signings. So glad you're back at the blog. You were missed. I have missed your posts! Even my partner, Seb Lester has been asking about you. I said "she must still be working on her book. You know it's going to be fab." Can't wait to get a copy. Congratulations and welcome back! Thank you everyone! There seems to be a glitch with receiving your comments, so a belated thank you to each of you. I'm glad to be connected with all of you once again.